PLEASE NOTE this post is from 2015 - please see our top recommendations for Christmas in the North East 2016 for an updated guide. If you live in the North East, why not join over 1000 other parents and join our Facebook Group dedicated to those who love Christmas and live in North East England - join here. Well I cannot believe that the Summer holidays aren't even over yet and I am already typing this post but I have already been asked on numerous occasions to provide recommendations for Christmassy days out in the North East and my blog analytics show that Christmas key words are being searched for daily on the blog already so rather than typing out this post to everyone that asks, I thought I would write a little post with our top recommendations based on Christmas activities we've enjoyed over the years. For under 5's you absolutely cannot beat the Christmas show at Northern Stage. 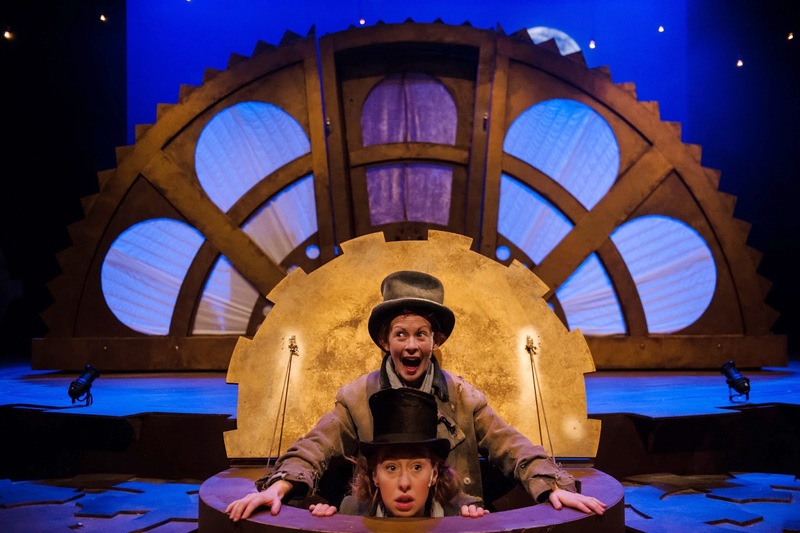 Suitable for the very young it is always a winner and a fantastic introduction to Christmas theatre with music, puppetry and larger than life characters. We adored The Christmas Grump last year (review here) and imagine this years performance 'Up & Out Christmas Sprout' will be just as good. The best place we have taken our children to meet Father Christmas is the Rising Sun Country Park (review here). There was warm juice around a campfire, the chance to meet Father Christmas with your friend in his woodland cottage and special Christmas crafts such as making reindeer food and willow wands. Keep an eye on the North Tyneside Parks facebook page for tickets. 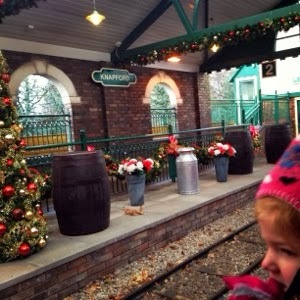 Finally, under 5's will really love a magical Christmas at Thomas land (review here) . It isn't usually too expensive and it is lovely to see the station decorated for Christmas time. There is never any queue for the rides, you get to meet Santa Claus in a castle, there are fireworks and the Fat controller sings carols as it snows. There's mulled wine for mum and dad too! 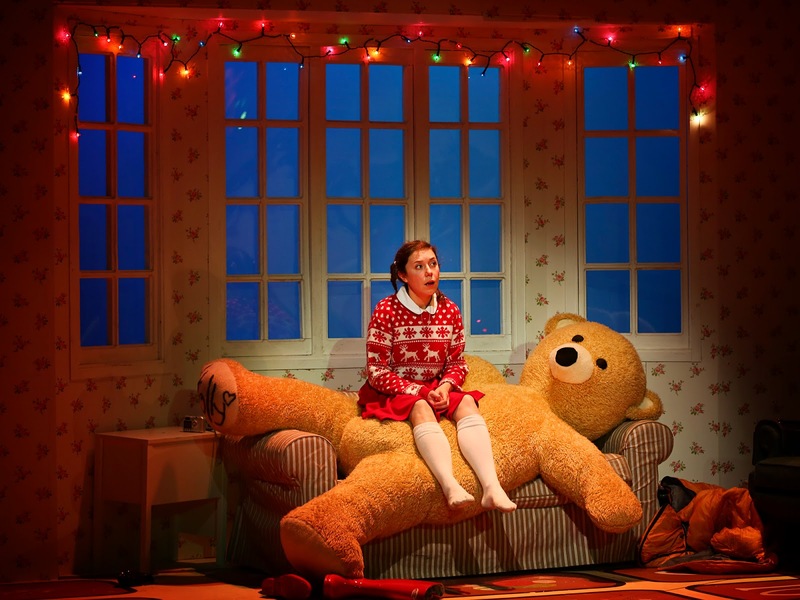 Last year the grown ups loved Get Santa at Northern Stage (review here) as did the older children (these shows are probably too long for children under 5). This years offering is The Wonderful Wizard of Oz and we've already booked our tickets (family tickets are available for certain performances for £60). Another show we all thoroughly enjoyed last year was Beauty and the Beast at the Whitley Bay Playhouse - with it's risque humour, traditional panto routines and lots of audience participation, everyone in our group ended up having such a fun night (review here). This years offering is Snow White starring Steve Walls and Faye Tozer from Steps. Tickets are priced between £9 and £20. We enjoyed our first 'Santa Train' last year with the Tanfield Railway (review here) and would say this trip was definitely worth the money (the present from Santa was very good). There was a real sense of magic in the air and I loved the included hot chocolates and mince pies. You can book tickets for this years event here but be quick - some dates are already sold out. Last year we all thoroughly enjoyed a trip to Whitehouse Farm for their Christmas Cracker (review here) and thought it was very good value of money with lots of activities included such as letter writing and meeting Father Christmas, an elf magic show, sleigh rides around the farm, a chance to meet the reindeer, cookie decorating and festive shows - this is on top of all the usual animals, soft play, parks and activities. You could easily spend a full day here and would leave feeling very Christmassy. Santa's Christmas Cracker runs from 19th November-24th December this year. Visit website for details. Couldn't agree more with these choices although the cost of tan field is quite high fir us this year hopefully we'll manage next year. Yes that is the trouble - paying for it all! It's great to have some recommendations, as being new to the area we need pointing in the right direction...you're so organised! I love the run up to Christmas. Yes, I am one of the sad ones that plans all year long. Not sure why though as it doesn't need it. I love the idea of seeing Santa around a warm camp fire! I will be starting our planning in the next few weeks - can't wait! Have you done the kielder winter wonderland, was planning on getting tickets for this year but just wondering on what its like for value as quite pricey! I've never been Laura - I've heard lots of good things though so we will hopefully plan a visit next year. I started my Christmas shopping yesterday, I'm really excited. I'd love to do the Tanfield railway despite my lack of Children. As if you missed out Polar Express?! We are booked up for Tanfield and will look into a couple more of these. Lots of good suggestions. We thought polar express was grossly expensive for what it was.